A man from the Jordan area has been arrested in connection with a series of thefts and break-ins. 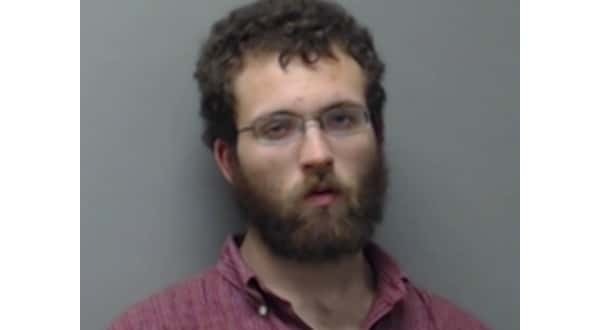 Baxter County Sheriff John Montgomery says 21-year-old Kyle James Tilley was booked into the Baxter County Detention Center Wednesday night following several reported incidents over a six-week period that all occurred in the Jordan area. The first incident happened Jan. 24th when Tilley was allegedly seen taking a gas can from a carport. On March 2nd, another resident in the Jordan area reported over $2,300 worth of items were taken from his house after it was broken into. On March 5th, another victim reported someone had broken into his shop building and stole $500 worth of tools. Tilley was pulled over in Salesville Wednesday on a traffic stop, and officers found several of the items reported stolen from the break-ins in his vehicle. During an interview with investigators, Tilley admitted taking the trash can but denied involvement in the other thefts. Tilley was charged with felony counts of residential burglary, breaking or entering and theft of property, along with two misdemeanor counts of theft of property and a misdemeanor count of contempt of court. His bond is set at $25,000.